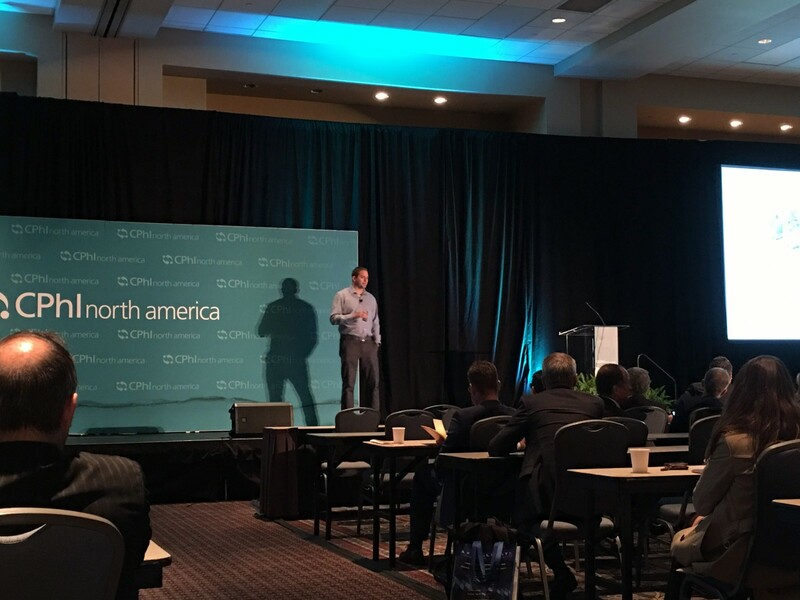 This year’s InformEx/CPhI North America event was buzzing, with thousands of attendees and over 25 high-profile speakers in a conference programme focused on the latest drug development innovations and manufacturing technologies. The future of medicines and advances made so far were hot topics at this year’s event, held in Philadelphia on the 24-26 April. In three keynote presentations, Dr Bertalan Mesko focused on “science fiction” technologies that could become reality in the not-so-long- term future, Nik Leist looked at digital medicines and personalised therapy, while Peter Stein discussed how the US FDA is speeding up approval times. Did the patient take their medicine and was it effective? Leist, senior director of ingestible sensor manufacturing and site leader at Proteus Digital Health, explained how his company has produced the first digital medicine to be approved by the FDA. It works on an ingestible sensor, “the world’s smallest, safest, global regulatory- cleared medical device”, which has been proven safe in over 60 clinical studies. The sensor comprises materials found in the daily diet: a mineral layer, a magnesium layer, a copper layer and, in the centre, a silicon chip. A sensor, worn around the torso, sends data to a mobile platform and up to the cloud, which conducts a series of algorithms and returns it to the patient. There are two fundamental questions in healthcare, Leist said: “Did the patient take their medicine and was it effective?” Digital medicine can answer both. It provides benefits for all: physicians like it because it reengages the relationship between patient and GP. Payers like it because, with improved values, you can move into value-based contracts. Manufacturers like it because, in the development cycle, you can use widely observed therapy, get real- time feedback and make decisions more effectively. And, on the business side, combining a branded generic with a Proteus chip leads to a unique medicine that can be patented. Peter Stein, deputy director of the Office of New Drugs at the FDA, explored the delicate balance between ensuring safety and speeding up new drug approvals. Protracted approval times for new molecular entities were the norm before 1992, when only half were approved within two years. The process was slow because of limited resources at the FDA and because the guidelines weren’t very clear – it was a “revolving door of information coming through, which delayed approvals”, Stein said. This led to the Prescription Drug Users Fee Act, which included user fees to support increased staff and performance goals for the agency. It also led to a marked speed up in approvals. Now, the agency approves around 70% of new drugs within a year. The FDA is increasingly relying on “real world” evidence, which it defines as tools for drug development, mobile technologies and innovations in trial design and analysis. As a result, it is issuing more approvals for rare diseases and targeted therapies, which has been driving progress in cancer therapeutics. The agency is currently working on developing a framework and associated guidance on the adoption of real world evidence, due to the rising use of fast track and accelerated approval pathways. Under the agency’s ‘Sentinel’ initiative, which was fully launched in February 2016, it aims to expand access to new data types and develop analytical methods to enhance safety surveillance capabilities. Currently, the FDA uses four approval pathways: fast track, which is based upon preclinical data or strong rationale; breakthrough designation, which involves preliminary clinical evidence suggesting substantial improvement; accelerated approvals, which means a surrogate endpoint or intermediate clinical endpoint is ‘reasonably likely’; and priority reviews, where the FDA deems that a drug offers significant improvement. Of these, priority reviews are the most common, at 61%, while breakthrough designations represent 37% and fast track 39%. But there remain many challenges to innovation and two of these are human-based. Pierre Boulas of biotechnology company Biogen highlighted what he calls the “clash of two subcultures”, which serves as a significant barrier to innovation. “Innovation is the buzzword of the industry,” Boulas said. He has evidence for this assertion: he collated the ‘core values’ promoted by pharmaceutical companies and totted them up – innovation came first. Furthermore, the time for innovation is now, he said. We’re living in a technical revolution, the regulatory landscape is evolving, stakeholders’ demands are increasing, collaborations are expanding, acquisitions and partnerships are on the rise, the ‘emerging technology’ changes at the US FDA are helping the industry and patients are asking for better drugs more quickly. Companies are more willing to share data in terms of innovation and manufacturing. There is better understanding in research and massive opportunities. And yet, companies are not innovating fast enough. Why is this? “Cultural issues”, Boulas suggests. The biggest barrier is people, human behaviour. Boulas gave the example of drug developers versus regulatory/compliance staff. Both groups may work at the same company, but they have very different values (they should have different values if they care about the work they do), different job roles – equally important, but they clash. One develops, the other “protects”. The developers care about getting new products to market while the protectors care about ensuring they are safe and comply with regulations. These two subcultures will oppose each other at every step, making “innovation” near impossible. The solution, Boulas says, is to involve everyone in the project and assess the probability of success. Experiments have yielded interesting results; when company representations were brought together in a room and asked to “ditch the name badge”, leaving everyone in the dark as to who were CEOs and who were new employees, discussions proved livelier, more engaging and productive. But when those same employees returned to their companies, the discussion fell off and the job role, focused on execution only, resumed. In order to innovate successfully, Boulas concluded, we have to change our culture, our behaviours and our responses to each other. We have to develop a shared language and change the way we work. Another challenge is securing a skilled workforce. One initiative aiming to solve this is the Jefferson Institute for Bioprocessing, to be launched in 2019. 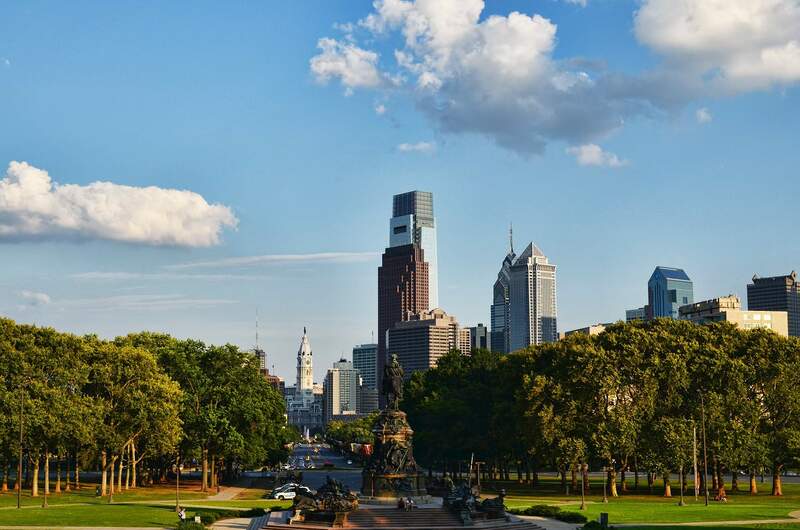 Partnering with the National Institute for Bioprocessing Research and Training (NIBRT), it is establishing a world-class training facility in Philadelphia for those pursuing a career in the biologics manufacturing industry. The brains behind the idea are Mary Lynne Bercik, founder and CEO of GenZinnovation, and Ron Kander, dean at Kanbar College of Design, Engineering and Commerce and associate provost for Applied Research at Jefferson University. Together, they’re looking to bring small and large molecule manufacturers together to train students and professionals to cGMP standards. A lack of skilled employees is, they claim, the biggest risk to the biologics industry and supply chains. Their presentation was part of a teaser to a new stream that will be integrated into CPhI events, called ‘bioLIVE’, which aspires to bridge the world of small and large molecules and highlight emerging and synergistic business opportunities in biopharma, bioprocessing manufacturing and development.